Why the Less FAQs the Better. Enhancing Medical Member Experience. FAQs—regardless of how comprehensive they are—can’t make up for a poorly designed LMS platform, a difficult registration process, or repetitive payment issues. Fewer FAQs mean less confusion for CME learners, but a reduction in the number of FAQs is only positive for learners when their LMS is designed around the medical member experience. In this post, we’ll look at ways to reduce the need for FAQs by following Learning Experience (LX) design best practices. If you’re a Continuing Medical Education(CME) learner in the midst of an activity and something goes wrong, the last thing that you want to be confronted with is a lengthy FAQ. Unfortunately for many Learning Management System (LMS) users, hunting through paragraph after paragraph for a solution to a simple problem is the only alternative to giving up on the platform altogether. A poorly designed FAQ can be as obstructive to the learning experience as any other website usability issue. FAQs address general, rather than nuanced issues. Any attempt to answer more than a handful of typical user questions will result in your FAQ becoming an unmanageable encyclopedia. The downside of relying on a streamlined FAQ as a self-service option is that many of your LMS users will have questions that are specific to your platform—such as persistent order fulfillment issues which are due to a hard-to-navigate payment process. You might be tempted to simply create a series of FAQs which provide solutions to these types of problems, but adding FAQs often contributes to, rather than reduces, user frustration. The vast majority of consumers are unwilling to wait more than five seconds for a webpage to load. Forcing your learners to spend minutes scrolling through multiple FAQs is just as damaging to medical member experience as a slow-loading page. They won’t have the patience to search for the right troubleshooting guide. Numerous FAQs will become roadblocks to your members finding answers quickly. This doesn’t mean you should only offer one FAQ, but if it takes more than a minute to locate a specific page of solutions to common LMS issues, then your self-service option has become a problem in itself. Don’t overuse use pop-ups. An abundance of pop-ups will distract your users and add to their frustration. Don’t use too small font sizes. Small fonts make longer paragraphs harder to read, slowing down your learners’ ability to quickly find an answer. Avoid confusing navigation link text. Use spare, precise language to guide users to the next page. Only use visuals to illustrate troubleshooting steps. Don’t add images or animations to your FAQ page for stylistic reasons. Always write out the in-text reference to an acronym first, followed by the acronym itself. New users might not be familiar with certain acronyms, and their use will only compound their confusion. An FAQ can’t stand in for a user-friendly LMS. If your most frequent support calls are indicating that your FAQs are consistently failing to answer member questions, then it’s possible that the issue may be with your LMS’ design, not the quality of your self-help resources. If your LMS doesn’t meet the standards listed above, then your learners will face constant challenges in using your platform. Rather than committing to a full-on website redesign, you should consider using an LMS platform with intuitive self-help options and a user-friendly design. SSO integrations with popular association management systems such as Aptify, Association Anywhere, iMIS, NetForum, Personify and more. 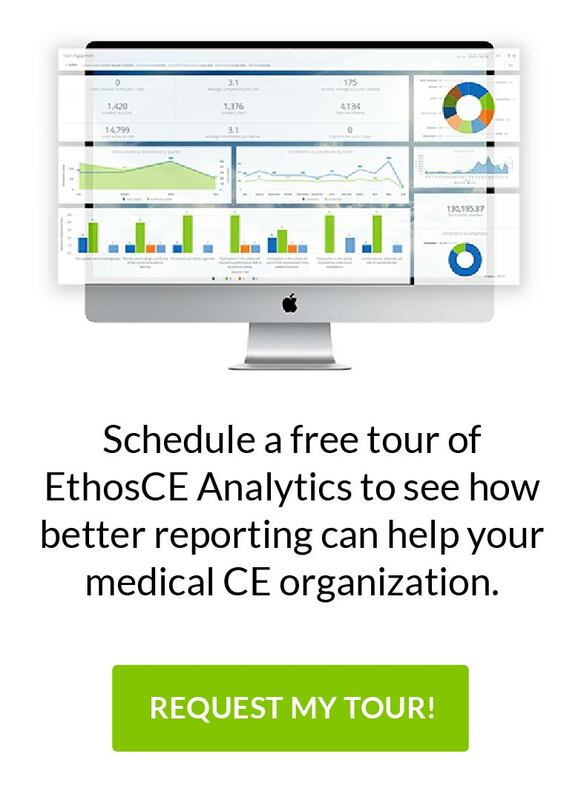 At EthosCE, we work with medical associations of every size to create an outstanding medical member experience for their learners using our enterprise-class LMS and support services. Connect with us today to learn how we can help you meet and exceed your CME goals. University of Pennsylvania School of Medicine selects EthosCE Learning Management System to Deliver Continuing Medical Education EthosCE Learning Management System Version 3.3 Released!